REGION — In the immediate aftermath of a traumatic event or death, family members and witnesses may be left with far more questions than answers. First responders — firefighters, police officers and paramedics — are not prepared or trained to walk a suddenly grieving individual through their emotional response, or the next steps prompted by a death. 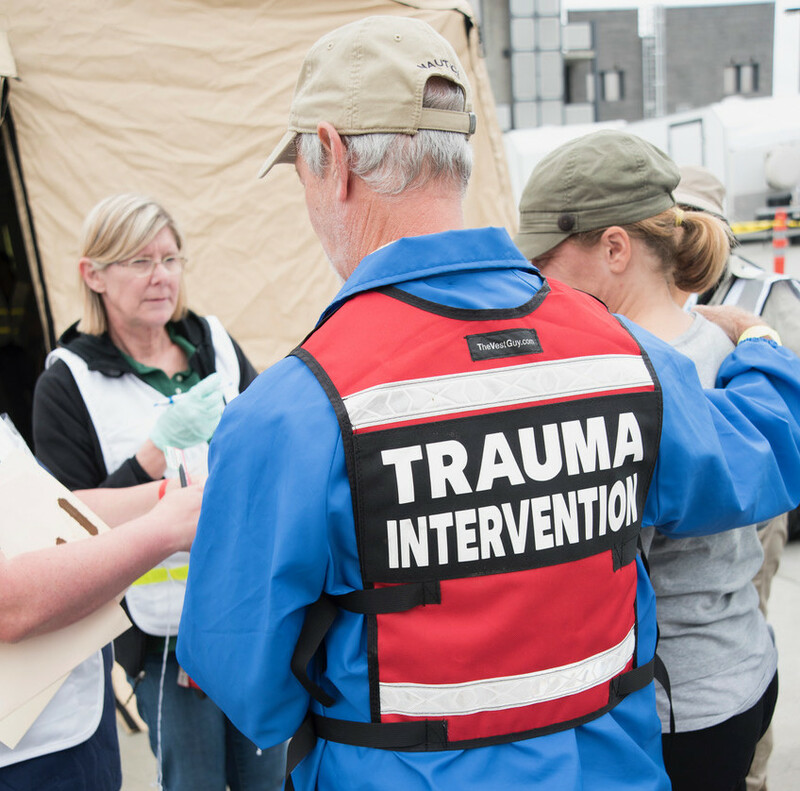 That’s where Trauma Intervention Programs (TIP) of San Diego steps in to provide “emotional first aid” to those struck by tragedy. Agencies across the county, such as the San Diego County Sheriff’s Department and Tri City Hospital, pay TIP of San Diego an annual fee to be able to call a volunteer to the scene when a family member of the deceased, or victim of a crime, is in need of “crisis intervention services.” TIP is able to send one of its 85 volunteers within 20 minutes. 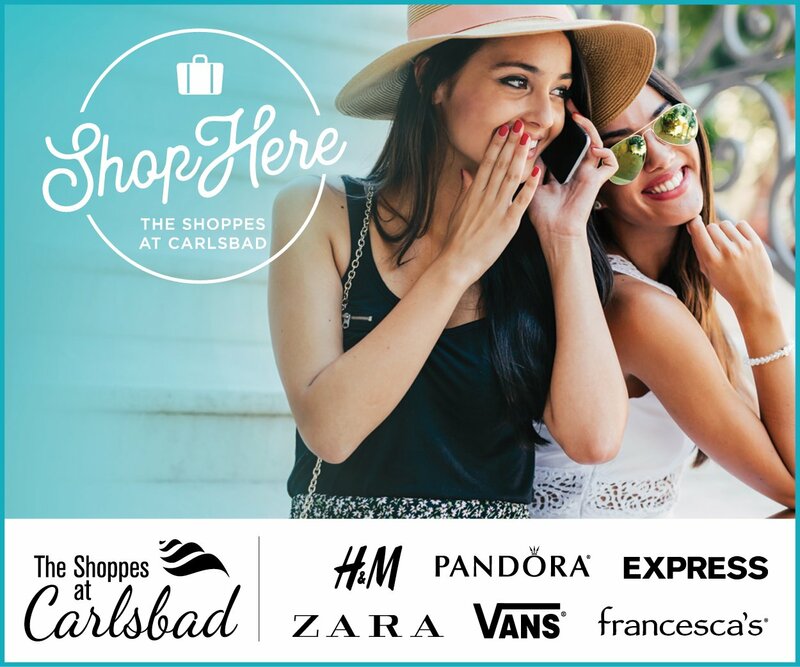 According to TIP of San Diego’s Executive Director Sher DeWeese, the organization has only missed one call in its 33 years of operation. TIP’s services are available 24 hours a day, seven days a week, year-round. But TIP’s services reach beyond emotional care. The local nonprofit’s volunteers help family members through “practical support” — walking them through a call to the mortuary and leaving them with a guide to local resources for coping with grief, for example. DeWeese said 90 to 95 percent of calls involve a death, but TIP also responds to traumatic events such as car collisions, house fires, sexual assaults or robberies. “They’re all different,” said volunteer and Del Mar resident Lynne Bernard. Bernard remembered a unique call in which the client was actually a dog — Bernard was tasked with finding a veterinarian to help take care of a dog with special dietary needs in the immediate aftermath of its owner’s death. But for the most part, volunteers help the bereaved through the necessary and difficult logistical steps required when a loved one dies. TIP also helps relieve first responders to answer other calls, by staying on the scene as briefly as 15 minutes, or as long as seven hours to provide comfort or answer questions as needed. DeWeese said local agencies are fairly adept at contacting TIP when the situation calls for their services — TIP responded to 1,119 calls in 2018, providing emotional support to 5,288 citizens. However, DeWeese lamented the times when TIP could have helped, but wasn’t called. “I wish they would call us more,” she said. Volunteer Marilyn Carpenter, also a Del Mar resident, has been with TIP for nine years. She said TIP often intervenes at a time when family members are in shock. After first responders depart, the affected individuals are frequently left with the body of the deceased and very little know-how of what to do next. 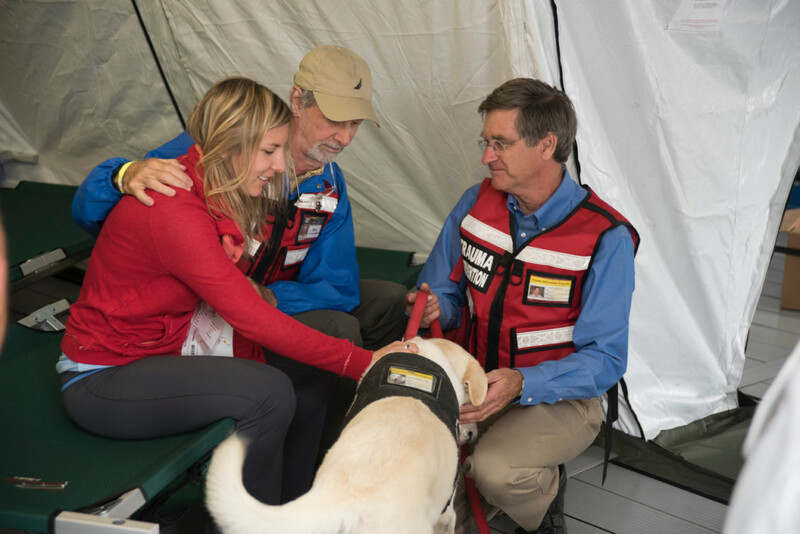 Volunteers go through about 55 hours of training — which involves in-class training, readings, and walking through different scenarios. Once they complete their training, they commit to being “on-call” for at least three, 12-hour shifts a month. TIP is strictly “temporary care,” said DeWeese, and as such, volunteers will follow up just once with victims or the bereaved after a call has been made. The organization also stresses the importance of self-care, as some volunteers back out of TIP once they realize the emotional commitment involved. 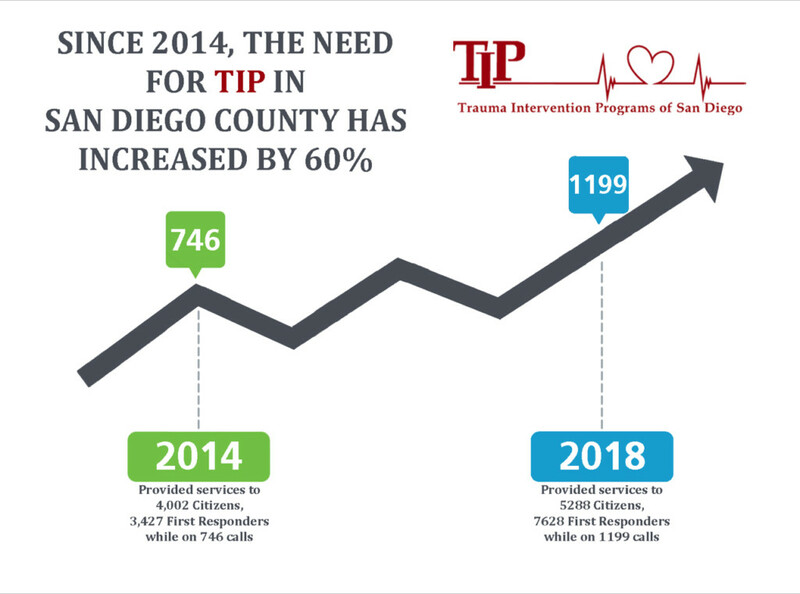 TIP has three volunteer “teams” — North County coastal, North County inland and East County — and they are always looking for more volunteers in order to increase their reach across the county. “I’d love to see TIP in every community in San Diego,” DeWeese said. TIP was first launched in Oceanside 33 years ago. It is now a national organization with 15 affiliates across the country. 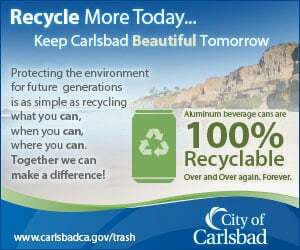 For more information on how to volunteer, visit TIP’s website: https://www.tipsandiego.org/.